Some of the objectives of Project Svelte were to reduce the overall size of the OS and reduce the memory usage of apps. These first two objectives were achieved using the special Nexus 4. In order to reduce memory usage, the company stripped Google apps from the OS making them behave as standalone apps. Google also worked on fixing how apps react in the case of bad memory situations, creating better measurements of how apps are running on Android by creating a RAM usage score to monitor how apps were using memory, and then monitoring RAM usage in apps. This means good news for developers. If you haven't jumped in yet, you should check this site out for more information on how to start your own app. An interesting side note to Android 4.4 KitKat is Project Svelte, which makes the new OS run on older hardware that many lower end devices suffer with (and have been without an update for quite some time). Google has taken this step in an effort to combat fragmentation that has been one of the downsides to owning an Android powered device. 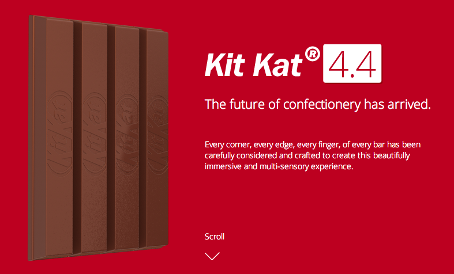 Many have been hearing that KitKat would be supporting older phones, with all the various leaks that came out before the October KitKat announcement, and Google finally made it all official when it released official information about the new OS. What Google left out was that they used a special Nexus 4 that used only two processors, 512MB of RAM and a 960 x 540 resolution display to test out how KitKat would run on older hardware.